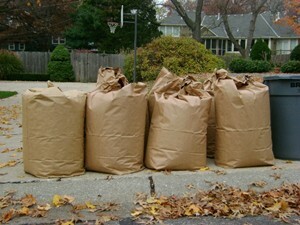 Year-Round Yard Waste Collection Here! (Omaha, NE) — Here’s a reminder – that’s great news! The City of Omaha is, yes, collecting yardwaste during Winter – year-round! So, here within Elk Creek Crossing, that means leaves, branches & the like will be picked up on your regularly scheduled trash day. In June, the City Council had given Deffenbaugh Industries the green light for a contract extension. Remember, trash bins should be labeled with a ‘YW”. You can also use special brown yardwaste bags. Branches and brush must be bundled with twine or string and weight may not exceed 30 pounds each. The dimensions for bundles may be up to 2 inches in diameter and 4 feet long. 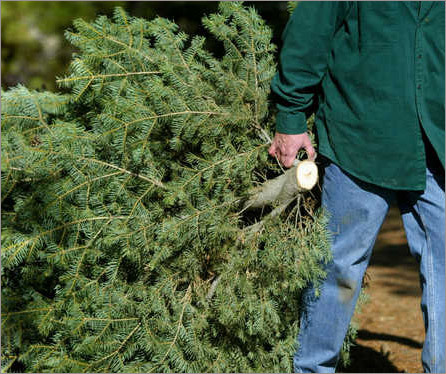 The city recommends you saw and prune trees for recycling. Please remove any lights, wires, ornaments, the stand and plastic bag, too. FYI. 🙂 Wreathes & evergreen roping are not collected.